Melissa is a MRA/HEDIS coder for 5 of our West Coast counties. Her background is 20+ years of experience in Medical Office Practice Management, Medical Billing, Medical Coding, A/R Billing and Surgical Coding Manager at an Ambulatory Surgical Center, with experience in Physician Credentialing and Provider Insurance contracts. 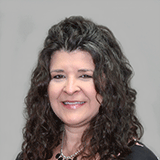 Melissa has experience with Medicare, Medicaid, Commercial and Managed Care, Workman's Compensation plans, and reporting Quality Measures for AHCA State Guidelines to HIPAA Compliance officer. She graduated with a Business Office/Accounting Education Association certificate and went directly into the healthcare industry at an early age. She has worked with multiple physicians in Florida. She has been with PrimeCare since March 2014. She is an active member of AAPC, and has earned certifications in many areas pertaining to Physician Practice Management. She is also a Certified Professional coder. Melissa's goal is to assist, train and educate our providers to help them achieve a successful Medical Practice.